Assembly service: We offer a complete turnkey installation service. For more information please use the "Contact Customer Service" button. 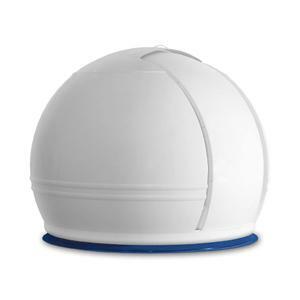 A permanently mounted telescope in its own observatory dome - your own private observatory. 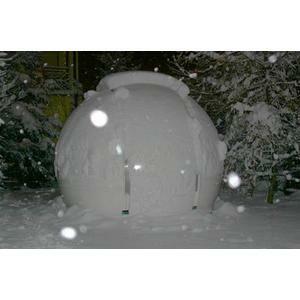 That is the dream of many amateur astronomers. The observatory turns this dream into a reality that is easily within your grasp. This observatory dome is made from 6mm thick glass polyester laminate, which guarantees complete protection against all environmental conditions and simultaneously provides a high level of stability, with longevity guaranteed. Special reinforcement on the inside of the construction provides an additional increase in stability. 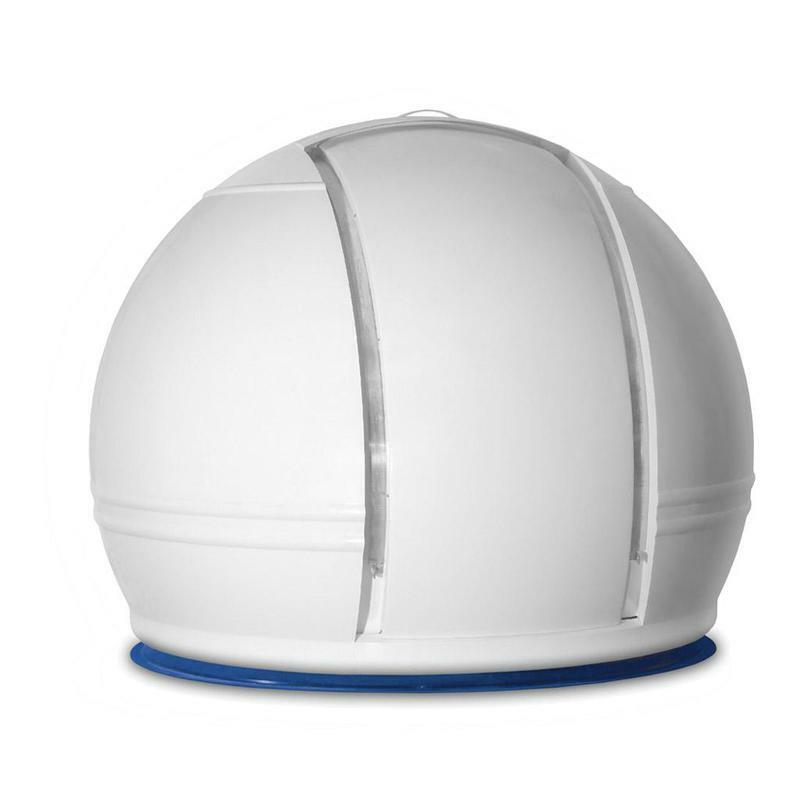 The water-tightness of the dome is guaranteed by the special design of the joints, which prevent ingress of water to the inside the dome. 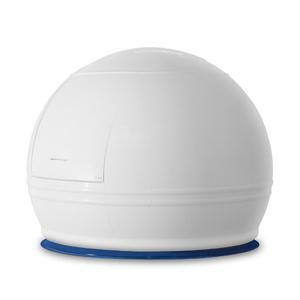 A large air gap in the base and the light colour of the dome prevent excessive heating up. 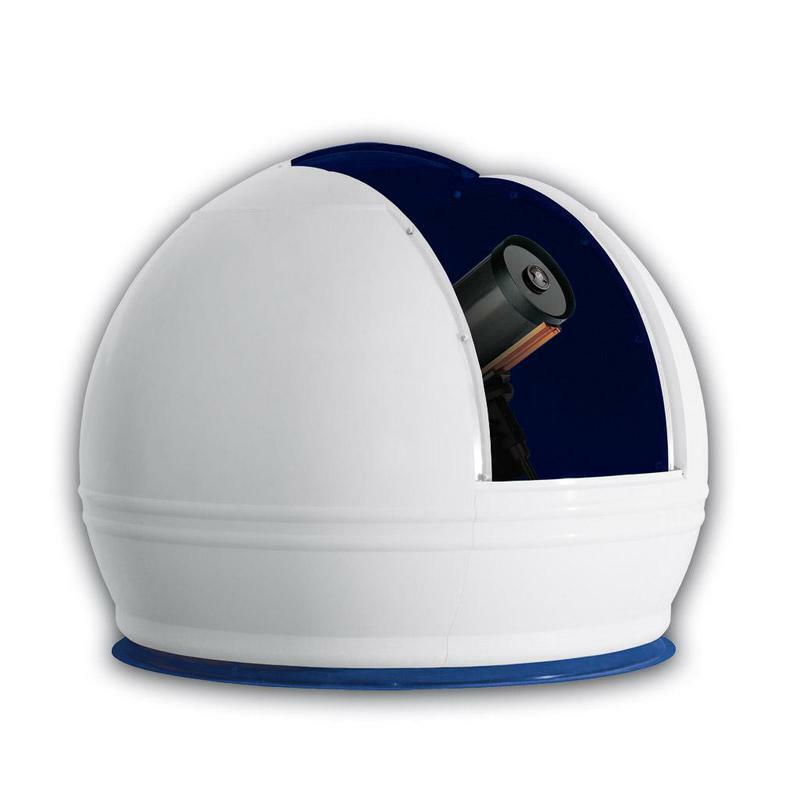 The large observing slot, with a width of 1m, allows unhindered observing for telescopes with diameters of up to 90 cm. 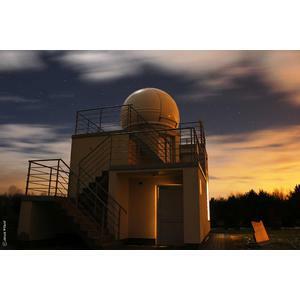 The observing slot has been designed in such a way that an unobstructed view right up to the zenith is possible using the telescope. Problem-free rotation of the dome is taken care of by the rollable base, which is carried on 16 plastic rollers. 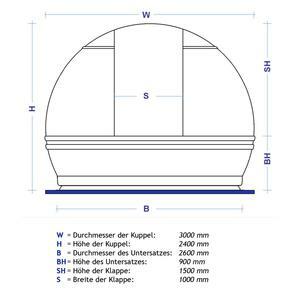 The dome consists of seven basic parts, which greatly facilitates transport to and assembly on higher buildings. 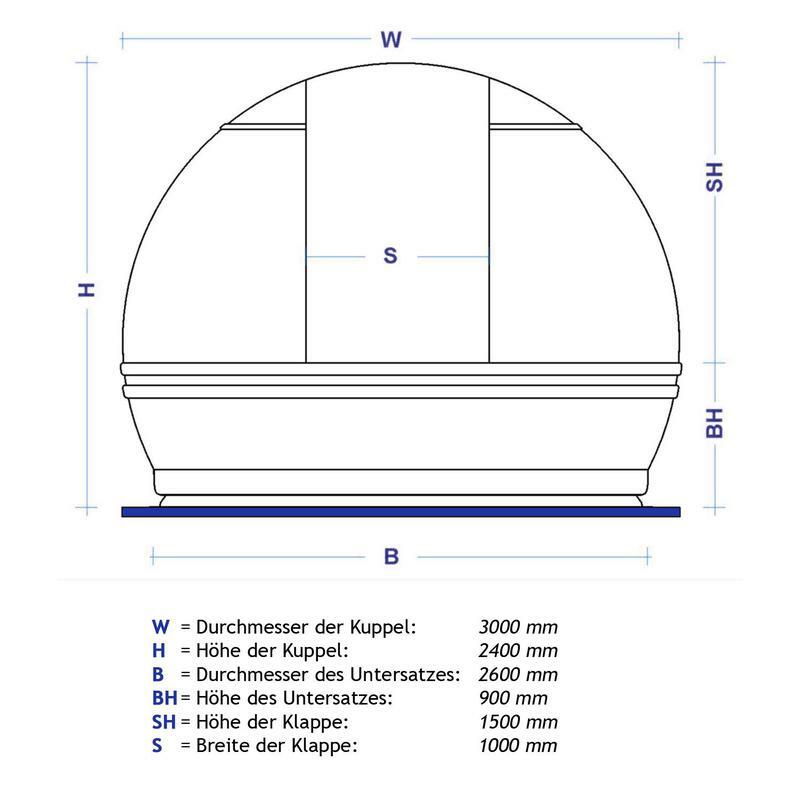 The eight page instruction book, in English and German, makes assembling the observatory straightforward. 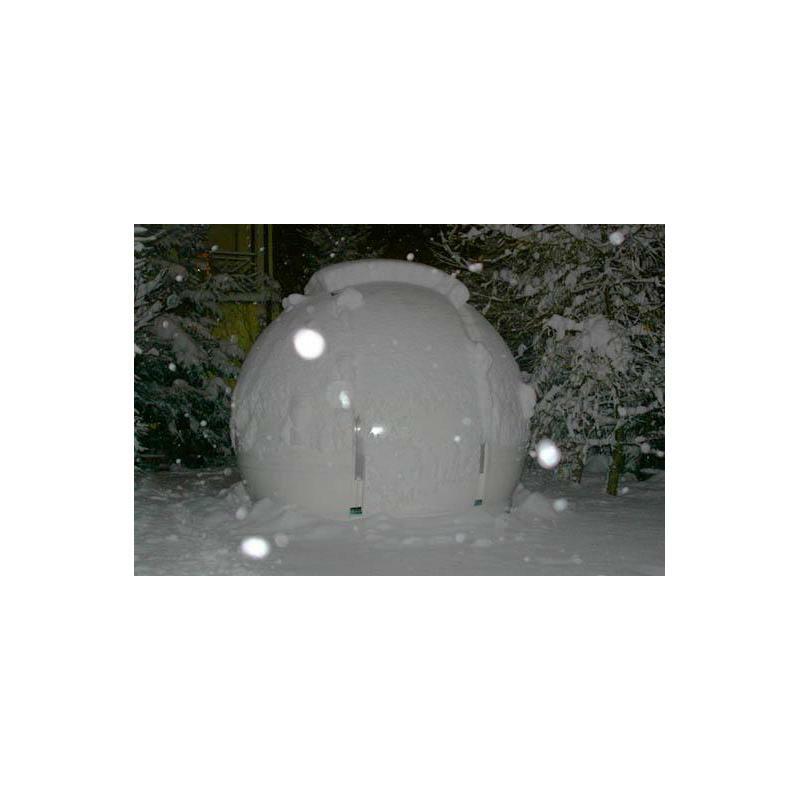 It may, however, be necessary to obtain a building permit for this structure; please inquire at the building authority responsible. We also offer the option of a complete assembly service from the manufacturer, providing you with a ready-to-use observatory. 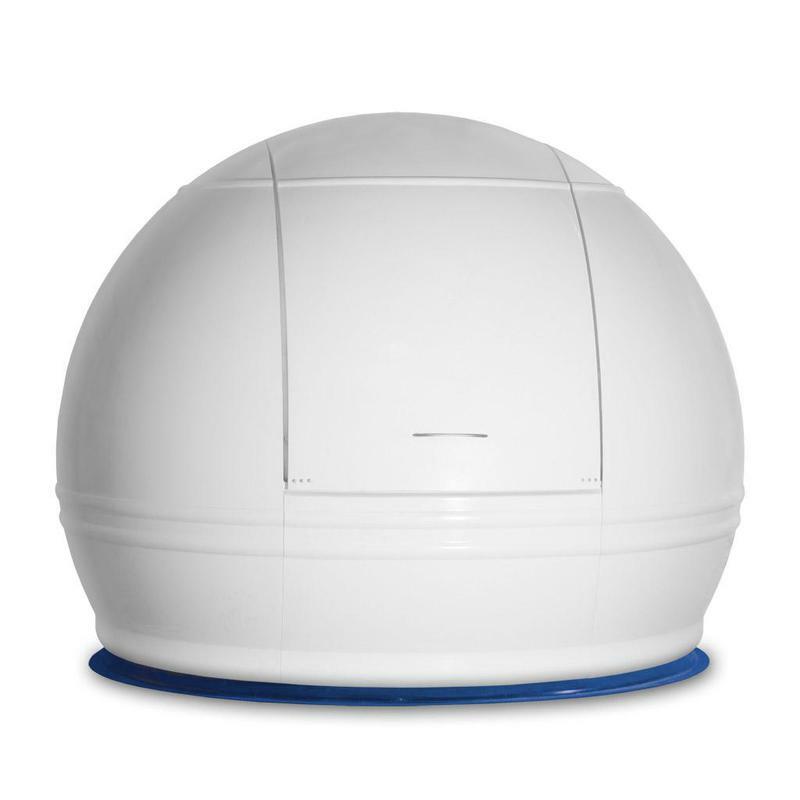 Visit our showrooms, where you can get a full impression of the high quality of this observatory dome. 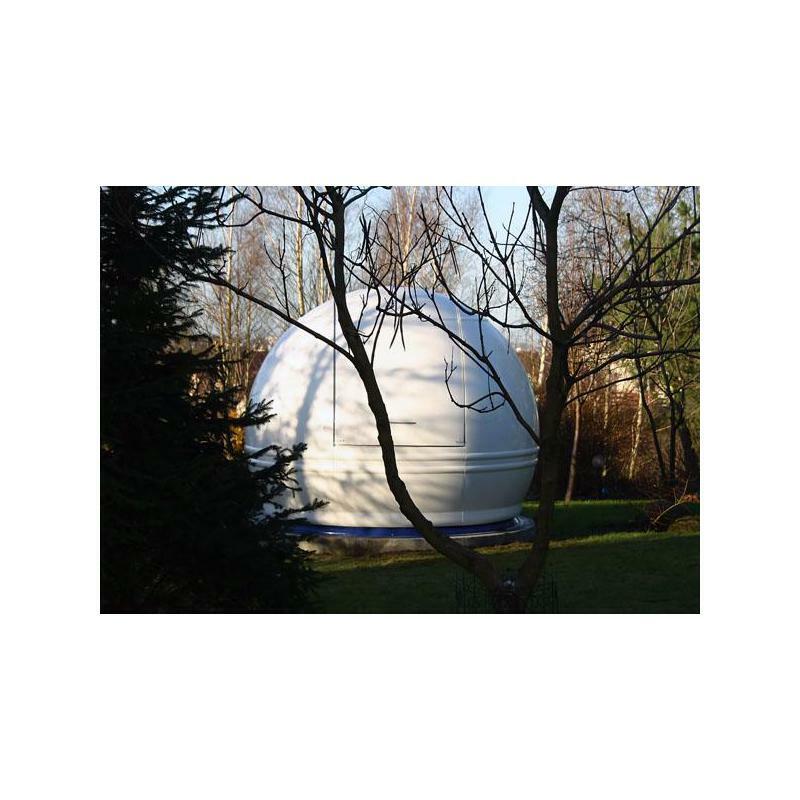 Please note that, due to size of the dome, it must be delivered by a shipping company and the driver is not allowed to unload it himself due to legal reasons. Unloading of the dome usually requires several people. Alternatively, we also offer a complete turnkey assembly service which includes unloading. 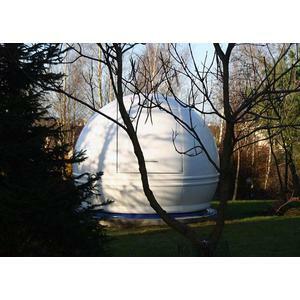 Let the dream of your own observatory come true!